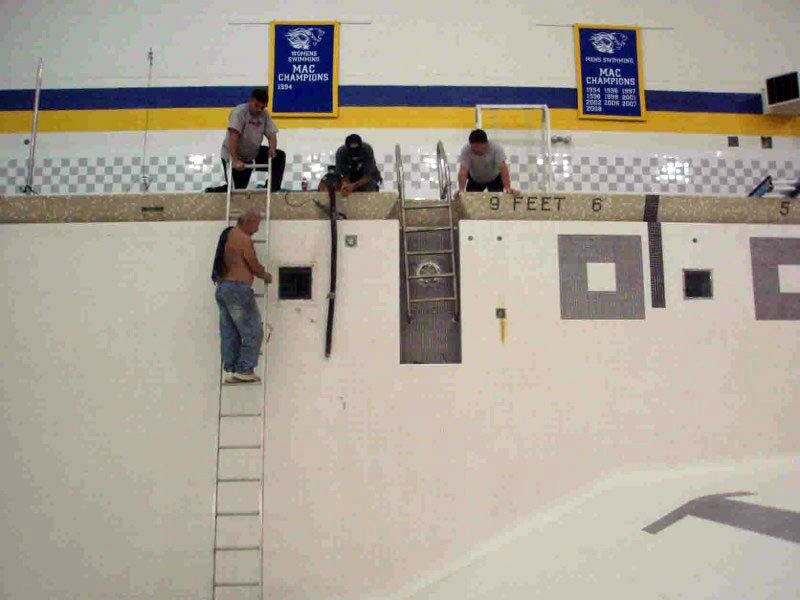 Inground Repairs, Pool Construction, Spa Repair, and Leak Detection services. Serving Trenton, Burlington, Lansdale, and Bryn Mawr tri-state areas. 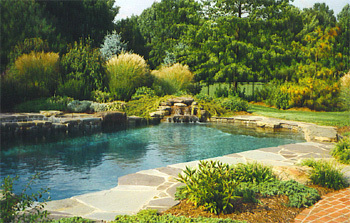 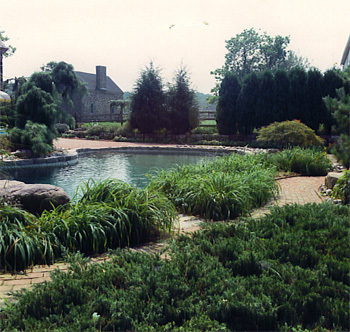 "We are the In ground Pool Repair / Renovation Specialist"
All Pools and Spas Inc. Is a family owned Business , satisfying Pool Owners in the Pennsylvania and New Jersey since 1967.Our Company is a long standing member of the Association of Pool and Spa Professionals (APSP) where we hold many Training Certifications. 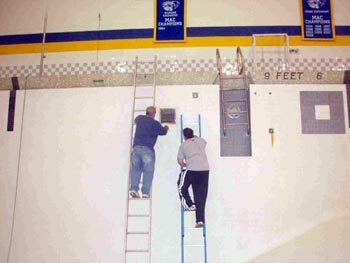 "Let our experience work for you". 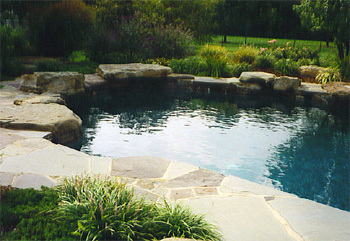 All Pools and Spas has Repaired and Renovated Thousands of Pools over the last 45 years. Our success rate is credited because of the strict protocol that we follow. 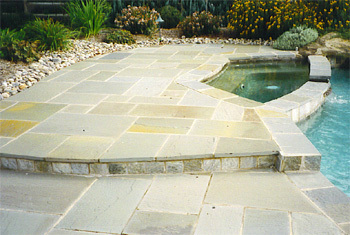 All of our Team Leaders have over 20 years experience therefore quality control is optimal. 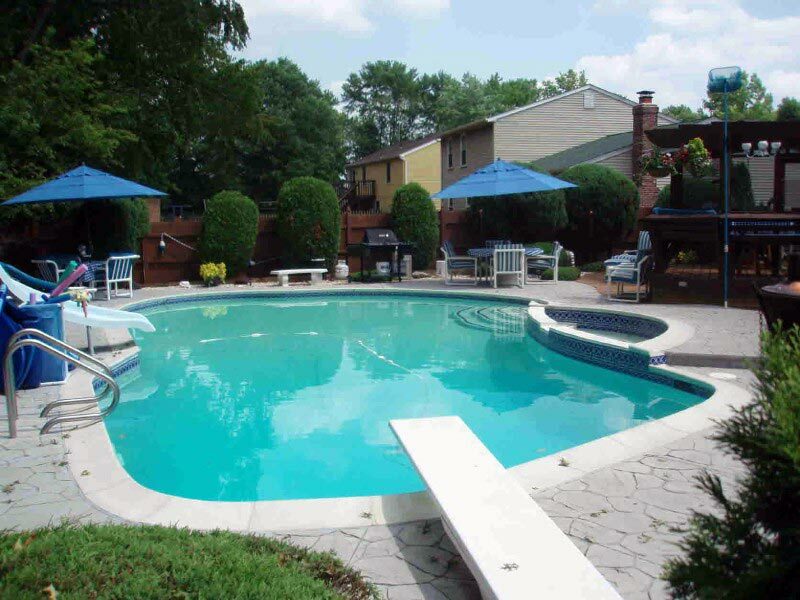 Unlike much of our Competitors that use summer in-experienced help, we specialize in application in order to give you the pool owner the best possible performance. 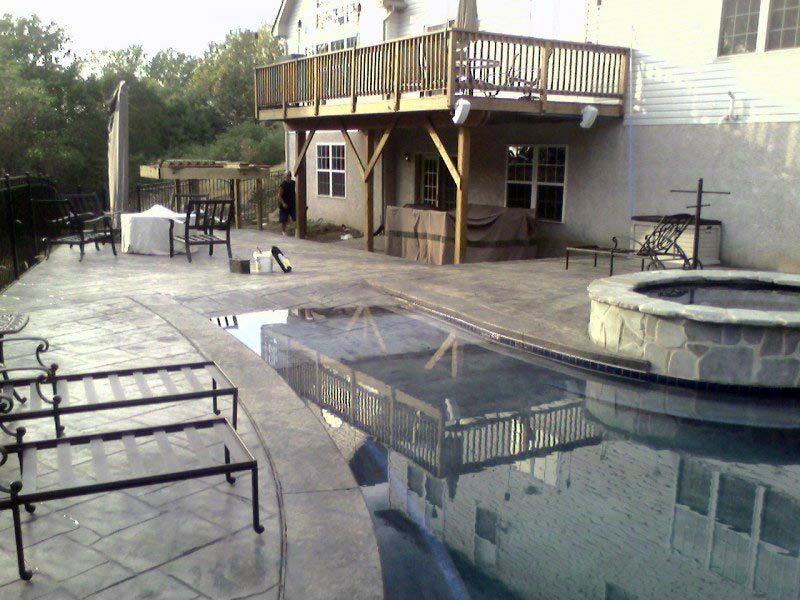 Your Concrete Pool has Treated your family good for many years. 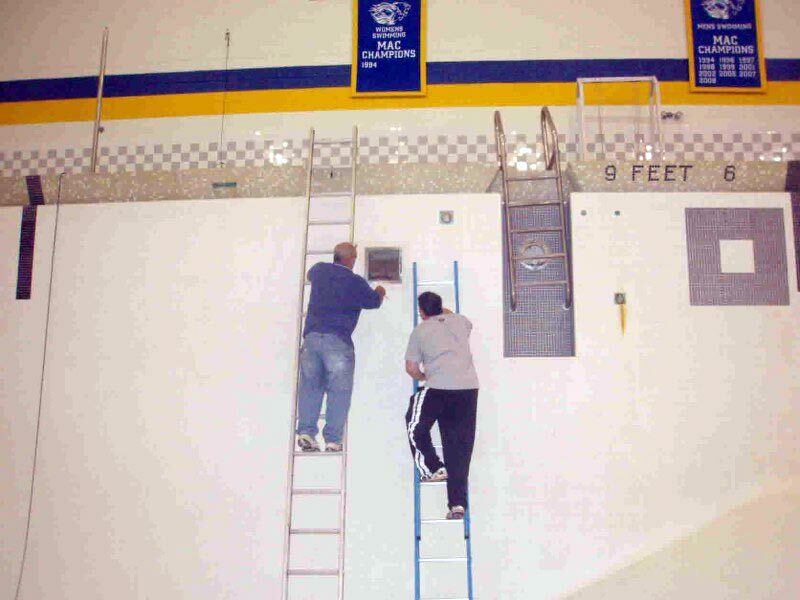 Now it is time to make those necessary repairs. 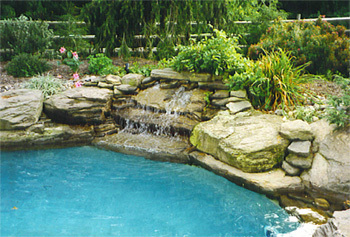 All Pools and Spas professionals will pre-inspect your Pool in order to administer the correct application of Repair and or Renovation. 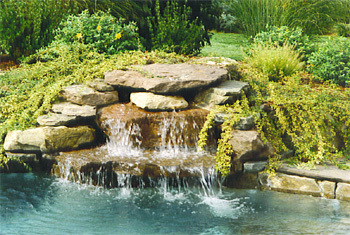 All of our expertise has evolved from our many years of in the business. 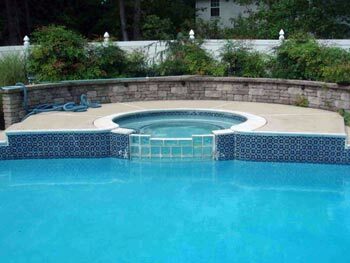 Most companies only deal with Plaster or Fiberglass or Vinyl liner type Pools. 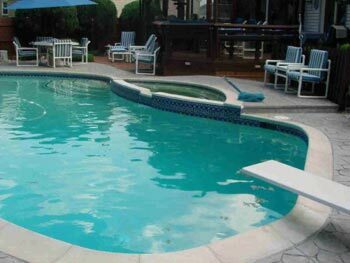 We have Specialist for each type of Pool. 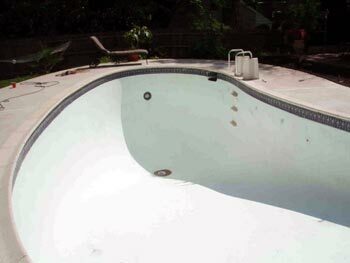 Whether you have a Plaster Pool or Painted Pool, we coat existing dull and faded Pool surfaces with a High Grade Extra High Build (EHB) Chlorinated Rubber or (EHB) Epoxy coating . 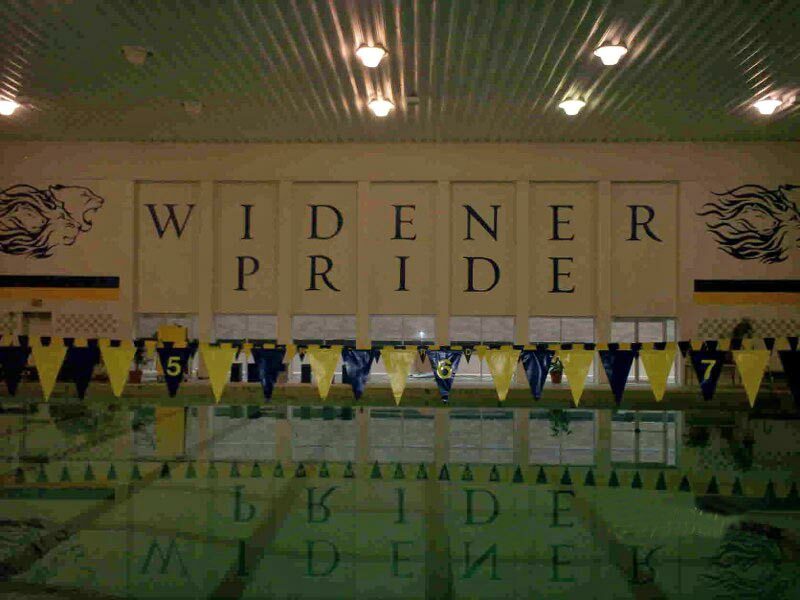 Our competitors will use store brand aftermarket type Paint that is designed sub-standard and to fail in a year or two where as our Paint material is Commercially designed for longevity allowing years of trouble free Pool Season enjoyment. 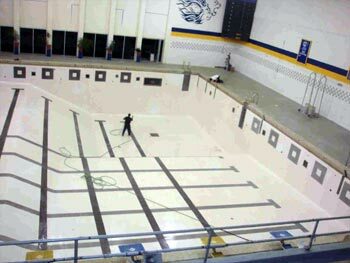 When it comes to Replacing the Tile on your Pool we use only the finest Frost Proof Tiles in the Industry. All tiles are Professional installed with special Acrylic Bonding Chemicals to insure proper adhesion to your existing Pool. 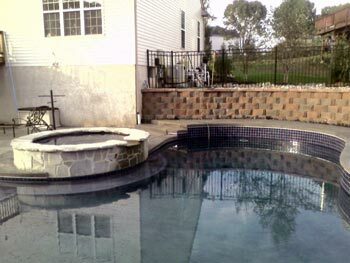 Our Professional Stone Masons can replace your cracked man made brick or cement coping with All Natural Tumbled Blue Stone Coping that will last forever. 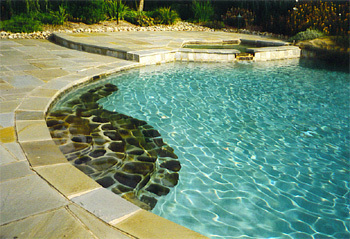 We can even apply Tumbled Bluestone inside of Pool on Entry Stairs and or Seat areas. All gaps between Coping and Walk Deck must be Pak Sealed with our Commercial Vulkem Caulk in order to prevent water from entering in winter months causing freeze / thaw damages to Coping , Tile and Bond Beam Structure. Finding a Leak in a Concrete Pool can be mind boggling. Our Certified Electronic Leak Detectors can find any leak with our sophisticated equipment . We have Under Water Fiber Optic Pipe Cameras and Under Ground Plumbing Pressure Testing Equipment. 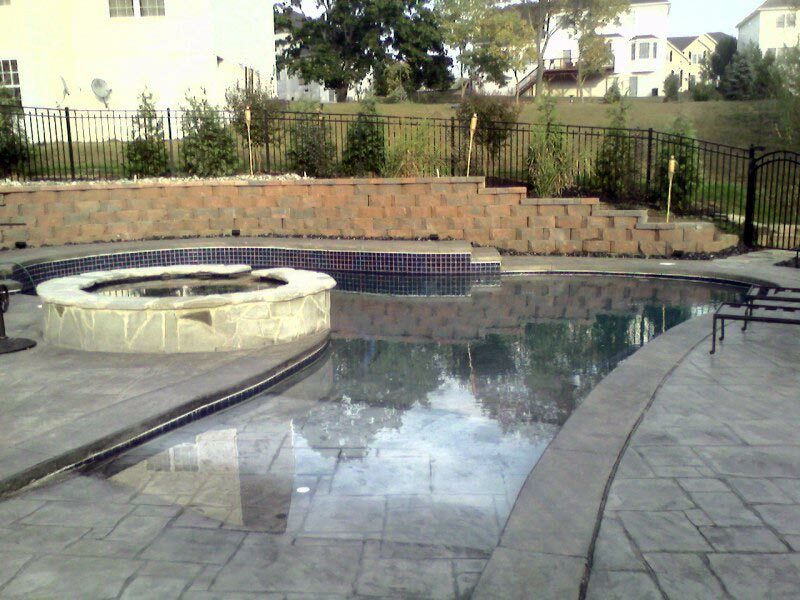 We offer around the clock Immediate Service for All Repairs and Filter / Pump , Automatic Chlorination, Salt Water Systems and Natural Gas or Propane Heater installations. 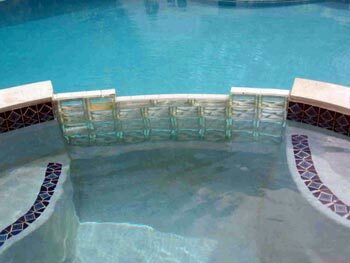 We also install Safety Mesh and Solid Spring Covers on New and Used Pools. 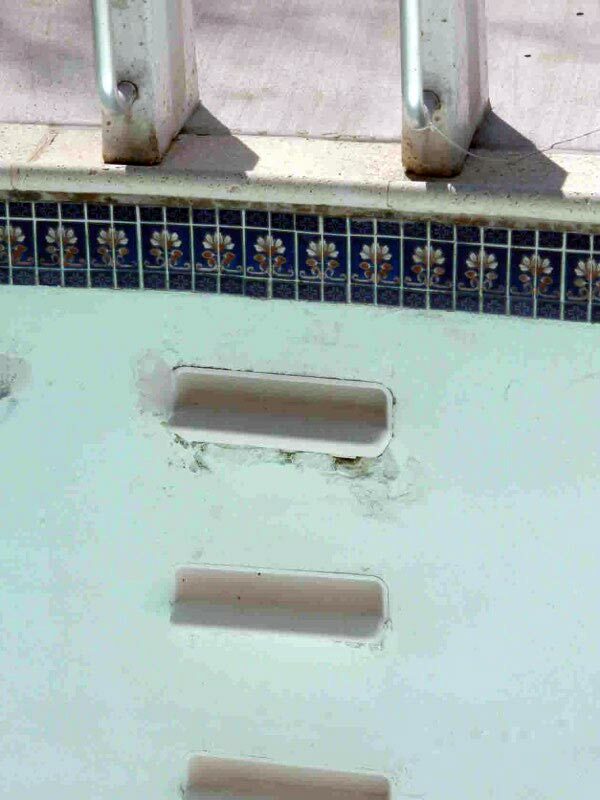 Please call our professionals to schedule your inspection. 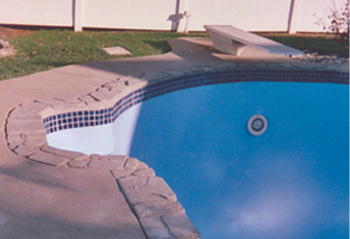 Your Vinyl Liner Pool has treated your family good for many years. 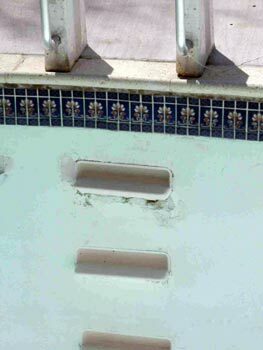 Now it is time to make those necessary repairs. 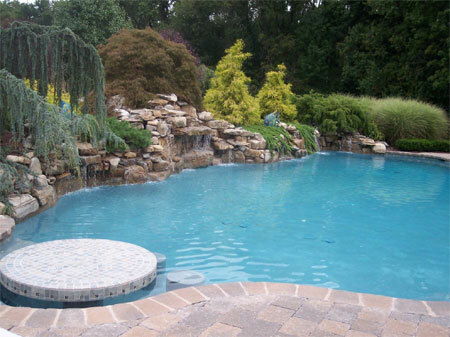 All Pools and Spas Professionals will Pre-inspect your Pool in order to administer the correct application of Repair and or Renovation. 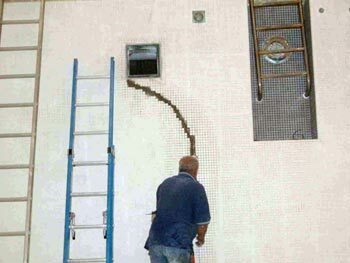 All of our expertise has evolved from our many years in the business. 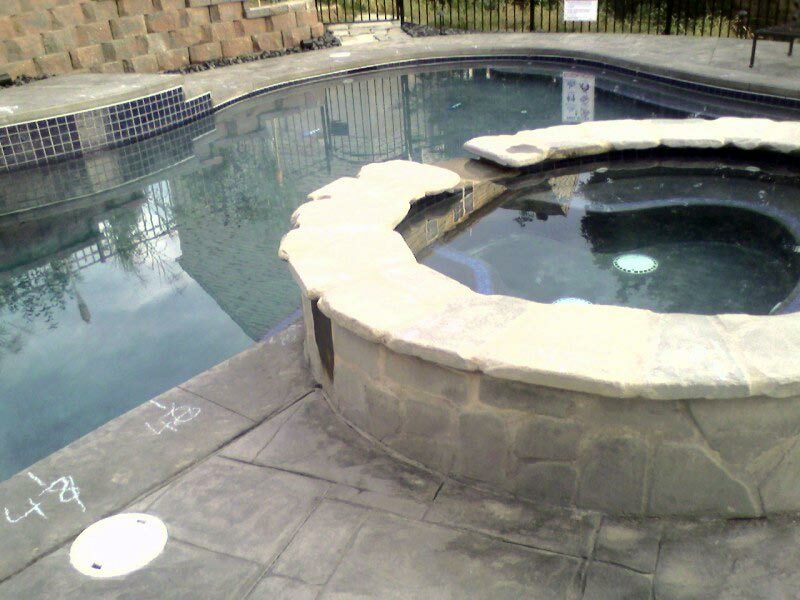 Our Specialty is In Ground Liner Replacements with Protecto Wall Padding Insulation, Shifted, Collapsed, or Caved In Pools Walls. 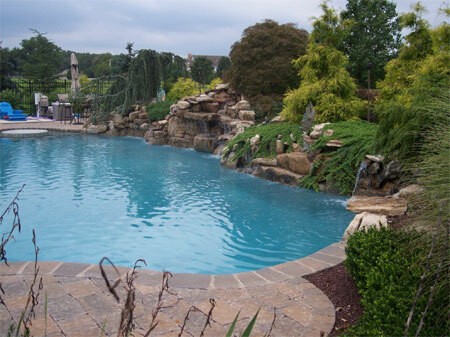 If your pool has an under ground leak, we will find it with our Sophisticated Electronic Leak Detection Equipment such as Under Water Fiber Optic Pipe Cameras , Electronic Hearing Ear Phone Amplification , Pressure Testing Plumbing Lines and Under water Dye Test. We also do minor repairs like Liner Bead Pop ins with Bead Lock Material and Vinyl Liner Patch work. Our Company can up grade your Filtration System, Pool Pump, Under water Pool Light, Natural or Propane Gas Heater Automatic Chlorination System or Salt Water System. 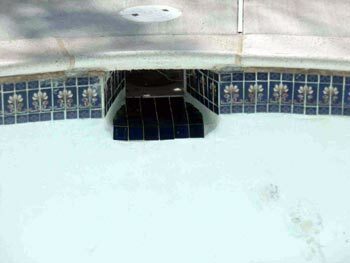 We also install Solid and Mesh Safety Spring Covers on New and Existing Pools. 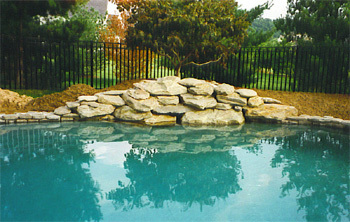 "We offer Immediate Service "
Your Fiberglass Pool has treated your family good for many Years. 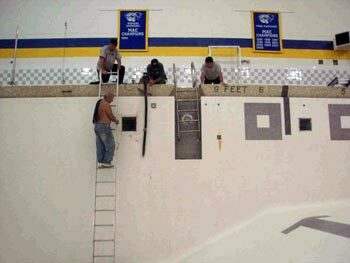 Now it is time to make those necessary repairs. It is important for our Company to Pre Inspect your Fiber Glass Pool Damage so that we can Prescribe the Correct Application of Repair. Many times a Fiberglass Pool will be subject to Hydrostatic Pressure which is caused by your property’s high water table. This hydrostatic Pressure Problem can cause your Fiberglass Pool to Float out of the ground like a Boat. 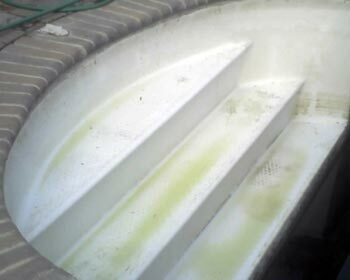 It can also cause Cracks in the Gel Coat and Fiberglass Shell. 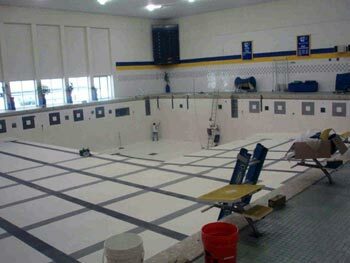 Our Trained Staff can Re-level Fiberglass Pools and or Perform Structural Fiberglass Patch Work . 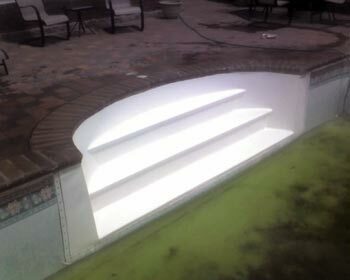 We can also Gel Coat or Epoxy Coat the entire Fiberglass surface with our Extra High Build Epoxy Coating. 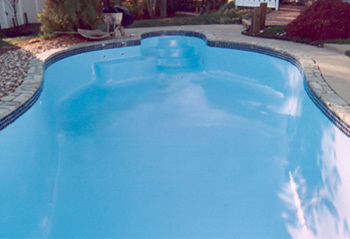 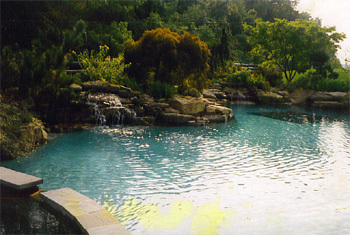 We Have Installed and Repaired Thousands of Fiberglass pools since establishing our company in 1967. 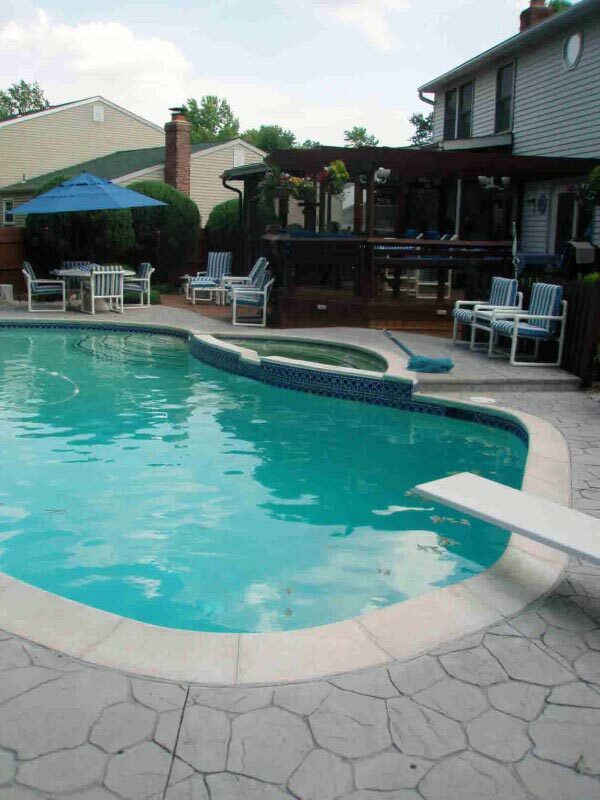 Fiberglass Repair is a very Specialized area and should only be performed by Professionals such as our company. 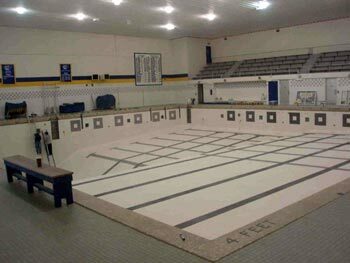 We can also Upgrade your Filtration System, Pump, Auto Chlorination, Salt Water System, Solid or Mesh Safety Spring Cover and Natural or Propane Gas Heater. We also Carry Electric Heat Pumps for Fiberglass Pools. 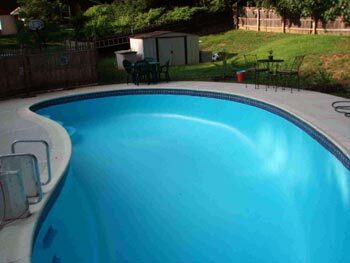 All types of swimming pool repairs including: pressure testing, leak detection and under ground plumbing repairs. 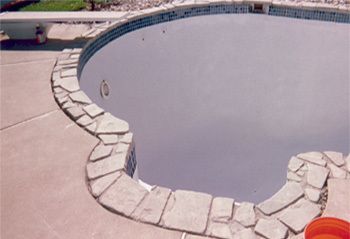 Complete renovation & repair for inground vinyl liner/fiber glass/cement pools. 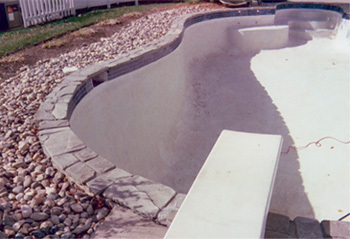 Existing concrete pool renovations. Our company replaces old coping with new tumbled blue stone and new tile and rubber or epoxy coating systems which gives your pool a new look. 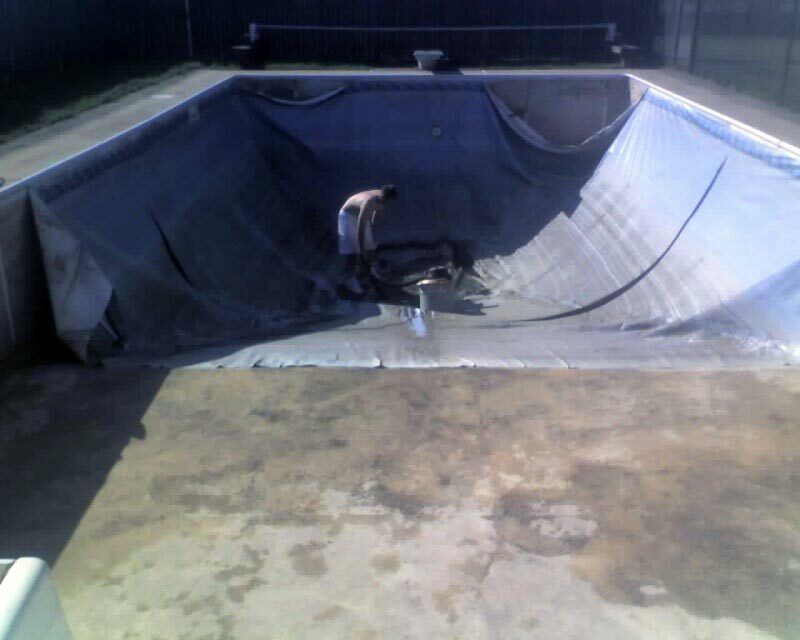 Storm Damage, Plumbing Problems, Skimmer Problems, Wall Shifts & Collapses, Vinyl Liner Repairs, Painting, All Concrete Repairs, Concrete Pool Service, Fiberglass Repair, Replacement & Installation.